I hope you can help me. I have just read your blog and wish I had found you weeks ago – you’d have saved me a headache! I am very new to Amazon and eBay and have recently had some phone cases made in China, which I plan to put on eBay and Amazon. I have had two designs made – producing 100 of each case. I understand that if I put them on Amazon I need a 13 digit EAN number. Without sounding too stupid, does one EAN code cover 100 of the same design, or do I have to buy 100 EAN codes for each design. What I am trying to say is, are products of the same design counted as one EAN code? I am also stuck on where to get EAN numbers from as I only have a small quantity and am not sure if any will sell so I don’t really want to join GS1. What a great help you are, thank you. Thanks for your email & question. There’s no need to apologise for your question as I truly believe there are no stupid questions! It’s more stupid to not ask these questions and make huge mistakes because of misinformation. Especially in this case, with EAN codes – as you can really put your business at risk if you don’t do things the right way. First of all I recommend you check out my EAN codes post which will educate you on the basics of these codes, what they are, how they work etc. Now, speaking of how many EAN numbers you’ll need – as you have 2 different designs of your item, you will need 2 codes. And not 200. An EAN code is unique to each product/variation/design/style/size you sell but NOT unique to every single product as such. So the fact that you have 200 products doesn’t mean you need 200 codes. You only need 2 as you have 2 different items (2 designs). The same principle would apply for people who sell items in different sizes. For example you sell a t-shirt and it comes in 5 sizes. This means you will need 5 EAN codes – one for each size. But if you sell 5 different t-shirt designs and each comes in 5 sizes, you’ll need 25 EAN codes – one for each variation of design & size. Now, moving on to your second question about where to get EAN codes from. 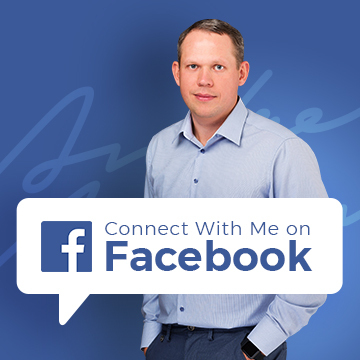 In the past I would recommend simply buying two codes from an EAN code reseller and you’d be good to go. Sadly that’s not the case anymore. Recently Amazon US changed the way they monitor/check EAN codes and basically you’re not allowed to use re-seller codes anymore. Each EAN code contains information on the company it has been issued to and Amazon now checks whether that company/brand name is the same as what you’ve got registered with Amazon. This means that on Amazon US, the only legit way to list products is with codes you get from GS1 directly – by joining them and paying the sign-up and yearly fee. Now, on Amazon UK you can still get through by using codes from re-sellers BUT I bet that they will introduce the same rules on Amazon UK as they have already done on the US site. And this means that when they do this, they will take down any products that do not comply with the new EAN code rules. So even if you can list those items on Amazon UK now, it could be that in a few months’ time Amazon takes your products down. It’s very risky to use re-seller codes on Amazon right now. Imagine you have your products listed for several months, get good reviews and rankings for your products and then suddenly you lose all of that, as you CAN’T change the EAN code for a listing on Amazon once it goes live. So to be 100% sure, you should join GS1 and get genuine EAN codes for your Amazon listings. But as you’re just starting out, the associated cost is quite high. So I would actually recommend you leave Amazon alone for now and just sell on eBay. On eBay you can use EAN codes bought from re-sellers, at least I haven’t heard any news on them changing this in the near future. So you’ll be safe selling on eBay using codes from re-sellers or simply opting for the new “self-generated” product identifiers feature eBay promises to launch soon. Hi Andrew. Thanks for this. All very informative. However, the information about Amazon US, UK etc is now out-of-date. It is still possible to use reseller barcodes on all these Amazon sites, as long as you have proof of ownership of these numbers through a registration site such as barcodesdatabase.org or gebir.org Some resellers provide this free with their barcode numbers. Amazon was originally like the Wild West, and anyone could list anything with any number. However, they did clamp down – this was aimed at stopping sellers listing branded product (eg Nike) with a diffferent barcode number. Hence Amazon sellers using ‘reseller’ barcodes need to provide a bit more proof about their ownership of the barcode numbers now. If Amazon sellers get these barcodes from a reputable reseller, it can still save them a lot of money in avoiding GS1 annual fees. This basically means that they do not allow codes from resellers. I know that codes from re-sellers still work – and I always say that you can use that option, just at your own risk. I don’t want to take responsibility for advising re-seller codes if in future it may cause massive problems. I use GS1 and don’t even thin about this issue. Great information you are providing and ever more helpful. As I research ways to get my first batch of barcodes, I came across UPC bay. Have you heard of them. They seem legitimate and make a convincing argument that because the barcodes they sell are from pre-2002, they are as legit as GS1 but much more inexpensive. Thoughts? I have heard of such companies who claim they have old codes with prefixes they can generate million or whatever codes. And from what I understand, they’re legit, yes, but I can’t comment on this specific company as I haven’t used them. Other than when selling on Amazon who check that GS1 issued the codes to the seller directly, why should I pay GS1 for the privilege of using a number, which is all that a barcode is? What law would I be breaking if I just made up a number that has a valid EAN checksum and used that to sell my products? If I don’t join GS1, I have no contract with them and therefore cannot be breaking any licence terms! I haven’t really thought about it that way as I have been a member of GS1 for many years now. The Amazon checks would got you anyways as they check whatever that GS1 prefix is registered to your company. Do you know if Amazon are only checking the EAN matches the seller details for new products uploaded or are they going through existing listings too? I don’t know that David, nope. I think they do check existing listings too as I recall something like this being discussed on Amazon sellers forum. we have just finished loading gs1 ean barcodes to ebay and have noticed a small rise in sales . we purchased ( or should it really be rented ) 2000 barcodes at an extra but slightly reduced cost .first 1000 in our package then added another 1000 later . we feel this is an investment should our sales continue to rise it will pay for itself within a year . hope this helps other people with their decision . Did you sign up for GS1 membership? yes , thats why I refered to renting as its a yearly fee for both 1000 eans after also paying for a registration fee . my initial payment was around £ 275 then when i added another 1000 approx £113 I had to fill in a downloadable form email it back wait for an email confirmation and it was all done within 6 hours . payment for the second eans was on account they never asked me to pay by card or anything just a bacs payment and it never stated a payment date although we paid this within 7 days anyway . now on renewal each year its around £240 . we have only just started selling on amazon after listening to your tutorials within your ebay course and the correct eans was so important to us just for this we did not think we would get a lift on ebay which we did . 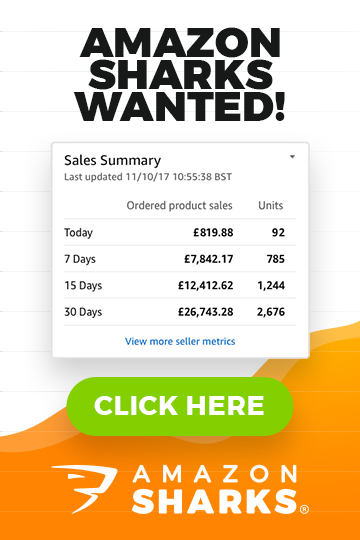 anyway just as a note I have also listened to your magnates course and wish I had seen it sooner , i feel its too late for me to implement in this particular buisness , as we list with magento onto both ebay and amazon . we have our own web developer helping as we come across glitches and updates etc . but I am considering re starting with new lines in the future while still running this one . Good to hear that Steve! Gs1 is the way to go, especially if you need so many codes. Thank you Andrew for all your help and your time. EAN codes are quite clear to me now.